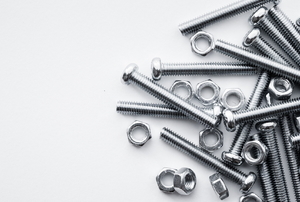 Nuts and bolts are the basic building elements that hold materials together. 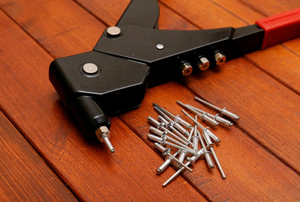 From screws and nails to bolts and rivets, here's the details on how to fasten your projects together. 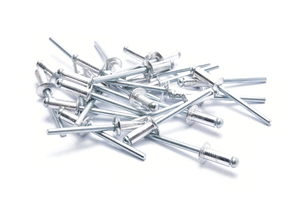 If you make a mistake using pop rivet, don't worry. Removing them to fix the problem doesn't have to be hard. You can hang all kinds of things from the ceiling with the right support. 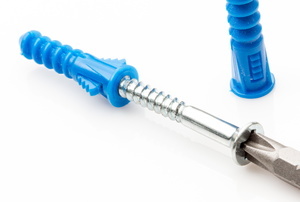 Plastic wall anchors are a type of wall anchors available in a number of sizes. 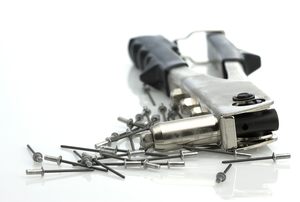 Removing drywall anchors is easy, but it any way you tackle it will require a patch to the hole left behind. 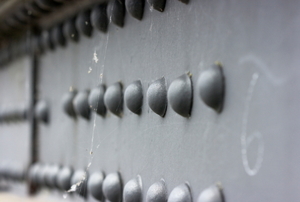 Pop rivets are used to join thin pieces of metal or plastic. A rivet gun makes the job easy to tackle. Using a rivet tool is an easy task. 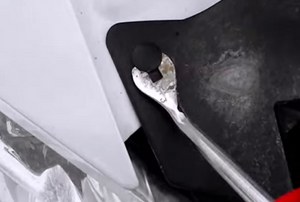 With a few pointers, you'll be shooting rivets into metal in no time. 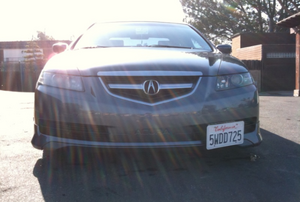 Use pop rivets instead of screws to insure your license plate is properly mounted to the frame. 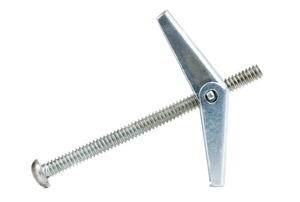 Hanger bolts are a great way to install a safety railing. 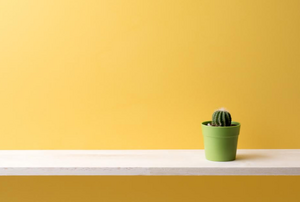 Adding storage space to your room by installing a shelf is an easy task. 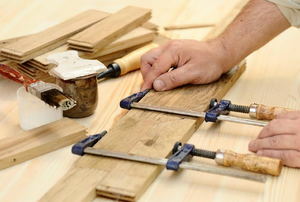 Find out how you can measure metric bolts easily before you wind up lost on your next project. 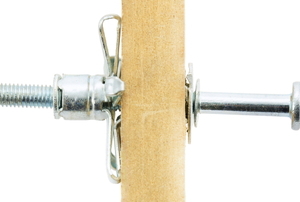 When hanging something on a wall, ceiling, or door where there is no beam, it is important to use a plastic wall anchor to ensure the hung item is secure. 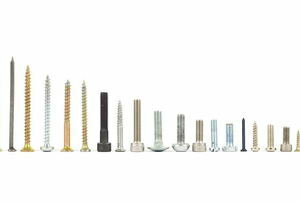 There are a lot of options out there for plastic wall anchors and their screw counterparts, but this step-by-step guide will help you choose the right one for your special hanging needs. 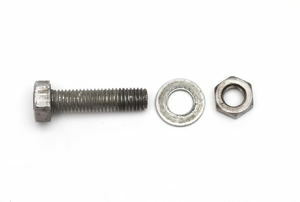 Have you ever wondered when to use lag bolts, and when to use carriage bolts? 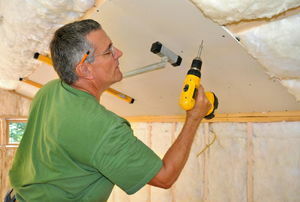 Learn about molly bolts so you never have to worry about hanging heavy objects on drywall again. 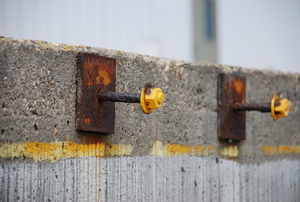 Concrete anchor bolts are meant to stay put. However, you can remove them with some effort and these tips. 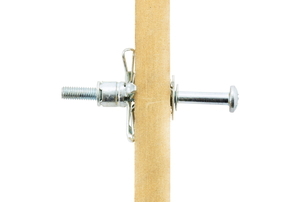 Toggle bolts are useful for hanging heavy objects on walls that do not have stud support. Install one with ease by using this guide. 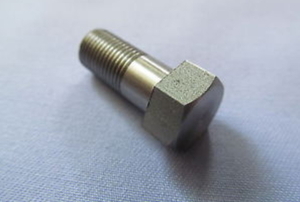 If you have a project you’d rather not weld, then using solid rivets can be a great alternative. Read on to learn how. 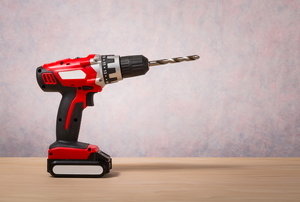 Pop rivets are usually removed with a power drill, but what if one isn't readily available? A few other common tools can do the job! 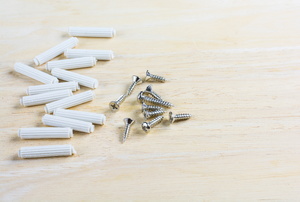 Fast and easy ways to choose the right fastener for the a job done right. 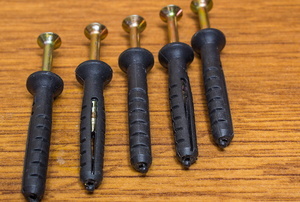 Follow these steps to install a tubular rivet. How do Plastic Anchors Work?